The weather hasn't been very friendly these days and if you have been out Pokemon hunting, be sure to stay hydrated! Starbucks have introduced 2 new and exciting Frappucinno flavors - Mango Fruit Jelly Yogurt Frappuccino® Blended Beverage and Strawberry Fruit Jelly Yogurt Frappuccino® Blended Beverage, just in time to quench our thirst this hot summer. Look forward to a delicious combination of chilled yogurt and fruity swirls blended with ice that is guaranteed to give you a refreshing boost. 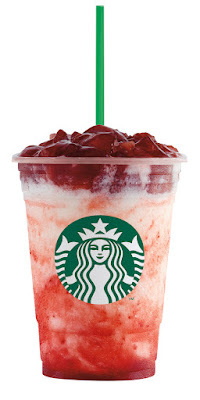 Frappuccino® fans will be delighted by the taste of their favorite seasonal fruit flavors in a rich jelly, combined with layers of silky, cooling yogurt. Immerse yourself in the wonderful layers of yogurt blended with citrusy sweet Alphonso mango sauce. The drink comes with chunky mango fruit jelly and is complete with a luscious layer of real mango bits for an extra sweet finish. 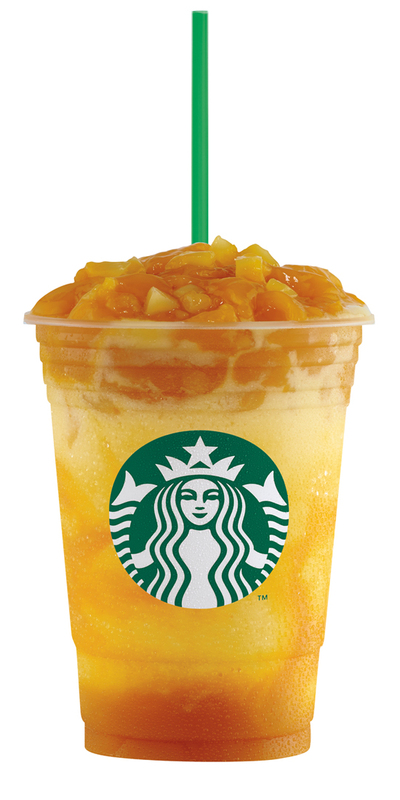 Say hi to the new Mango Fruit Jelly Yogurt Frappuccino® – your perfect accompaniment for a day out at the park. Combining the lovely tartness of yogurt and blend it with smooth strawberry sauce puree that will delight all yogurt lovers. Strawberry bites are added to the mix and it is then topped with a generous layer of strawberry jelly. Presenting the refreshingly delicious Strawberry Fruit Jelly Yogurt Frappuccino®. These drinks are priced at S$7.80 per tall-sized beverage and together with these 2 drinks, there's also the Starbucks Autumn Blend. 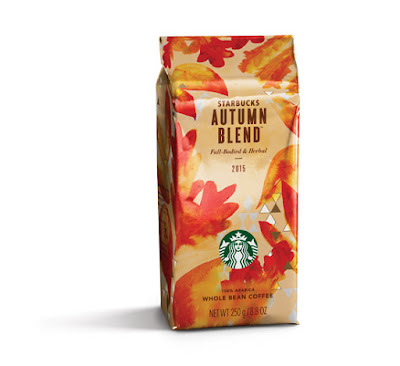 This spicy, full-bodied blend of coffees from Sumatra and Guatemala’s Antigua region reveals subtle herbal notes, especially when paired with a savory main course. Perfect for when you want to cuddle up with a good book. If you would like to try out the new drinks or bring home the Autumn Blend, they are now available from 10th August and are while stocks last. Do look out for the following breakfast promotions too! Starting from 17th August, you will never have a reason to skip breakfast again! - 24 to 30 August: Top up $1 to upgrade to a tall-sized Caramel Macchiato with every Breakfast Set purchased. For more information, go to www.starbucks.com.sg.